Ever thought of boosting office morale with some fun workplace activities or fitness initiatives? If it hasn’t been on your agenda already, you should definitely consider it. Looking after your people is always a sound business decision and one of the most effective ways of fostering a positive workplace culture. Creating a work culture that promotes physical activity at work does wonders for employees’ health and well-being. Especially with employees who are time-poor and struggle to fit physical activity into their busy schedules. Getting your people moving also adds momentum to your workplace productivity . Stockholm University research findings show that exercising at work helps employees perform better. And as long as workplace hygiene requirements are met, you have a huge number of options to choose from. Yes, introducing new things can prove challenging. Especially with activities that sound strenuous and not necessarily fun. The trick is to make it fun – it’s all in the attitude and enthusiasm is infectious – even when it comes to corporate fitness goals. Motivation is the key! Inspire your team with the help of this list of simple and insanely fun on-site activities! We have carefully curated a selection of excitement-packed activities for you and your team. Yoga is popular for a reason. It brings an array of health benefits to those who practice it, and science is there to support this. It’s well known for its stress-relieving effects, improving heart health and more. 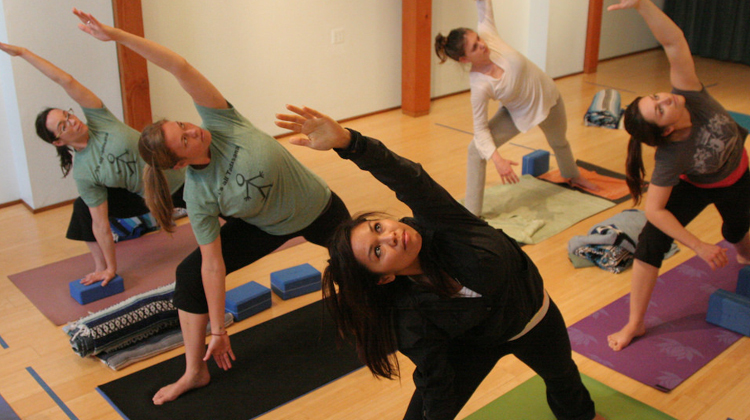 US health insurer has Aetna reaped the benefits of on-site yoga classes for its employees for years. “The results include improvements in heart rates and increased productivity, and helped Aetna reduce its employee health benefit costs by 7 percent in 2012,” Aetna CEO Mark Bertolini reported to The Huffington Post. 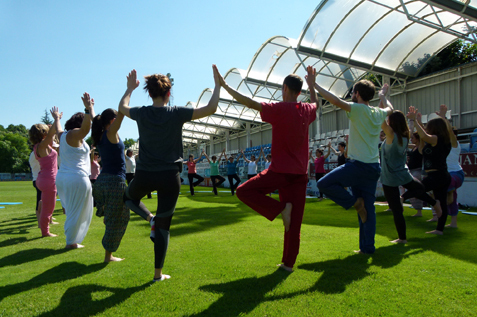 You can encourage your own staff to take up yoga classes by hosting a visiting yoga practitioner. Whether in your boardroom or outside – before work or during the lunchbreak. Debby Lewis, the director and yoga teacher of Corporate Yoga Australia says everybody can do yoga. Age, shape or size are irrelevant. You just need an experienced practitioner who will help you tailor the classes to your level of physical fitness. Debby simply says that consistency is paramount. 2. No Time for Long Workouts? Try These 2-5 Minute Fun Workplace Activities. Scientists say sedentary careers that require 8 hours a day of sitting lead to increased risks of premature death by up to 60%. They recommend one hour of physical activity daily to neutralise the bad effects of the sedentary lifestyle. But for many working people, this amount of activity is simply not doable. So short, 2-minute office exercise routines could be the best option. Check out this inspirational video for short office workouts and get your people moving. If you have a little more time, Maria Brinaki of FitnessReloaded recommends starting out with as little as 5 minutes a day. Then work your way up to 30 minutes very gradually. Beware of setting unrealistic goals and getting trapped in what Maria calls The Cycle of Frustration. It’s what happens when you fail to maintain workout consistency over and over again. The point is, she says, to make the workout a habit – the success may be gradual, but what counts is that it’s a long-term-gain. Energy company ConocoPhillips offers something for everybody – including the not-so-exercise-loving workers. Their on-site wellness centre hosts an I don’t really want to sweat class to get even the least athletic employees started on the road to greater health. OK, so maybe not quite as cool as Mick but moving nonetheless! If it’s fun you’re after, consider offering Zumba classes. This kind of fun-charged activity can really get people engaged. Dancing is fun! It brings people together, gets the heart pumping and helps relieve stress. After one of these classes, your employees will return to work reinvigorated and energised. Google gets the party started for their employees by offering on-site How to dance at a party lessons. The trick with these high-intensity activities is to ensure you have clean and accessible washroom facilities with showers. Introducing a wellness program without installing showers at your workplace is not going to work. So make sure to provide necessary facilities and keep hygiene levels high. 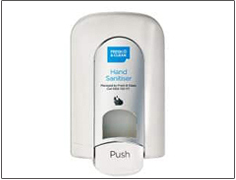 Fresh & Clean specialises in keeping your workplace washroom clean and sparkling at all times. From deep-cleaning to always making sure your supplies are refilled. 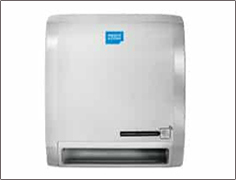 Soft and absorbent paper towels for a hygienic, safe yet cost-effective hand drying experience. Create a colorful and engaging chart and invite employees to make a weekly cardio commitment. After each cardio workout, they get to tick off their progress. It could be cycling, treadmill, stairs, anything – whatever is easy to do at your workplace. Or start a challenge to encourage friendly interpersonal motivation. It can be any physical activity. For example, at HVAC.com they launched a push-up challenge. This 30-day challenge involved the whole office, Facebook posts, and was such a hit they followed it up with a sit-up challenge. Organise fun and engaging basketball ‘tournaments’ at your workplace. People often enjoy the competitive, but friendly, element that shooting a few hoops can bring to their lunch break. You could even get coloured (and branded with your corporate logo) vests done so employees can team up and make it more interesting. Put a leader-board in the lunchroom and arrange some sort of ‘trophy’ or prize at the end of the year for the best performers and team, and even some MVPs or Most-Improved. Ping Pong, or table tennis, is pretty much a staple of many cool workplaces – especially the tech start-ups and progressive corporates who tend to put a lot of focus on work-life balance. Not only does table tennis keep our brains sharp, it’s also a great way to bond with colleagues. So if you have the room, add some action to your office space and install a ping pong table. It’ll be a magnet for mingling and fun socialising and will help employees maintain their energy levels. The benefits of regular exercise are well-known. So imagine what a couple of hours’ cycling could do for your employees’ long-term health. Cycling while working is now a thing thanks to the DeskCycle by MagneTrainer. It’s a great idea because you can train while you work. Like standing workstations, this innovation is a simple but effective solution to the sedentary-related health issues in modern day workplaces. Adding a bit of fun to your workplace activities will help boost your employees’ fitness levels and motivation. And you’ll have employees feeling mentally and physically refreshed so they’re more focused for work. Time spent exercising is more than made up for in increased productivity. It really does make sound business sense. For more workout and activity ideas for your workplace, check out our 149 Easy Steps to Employee Wellness. 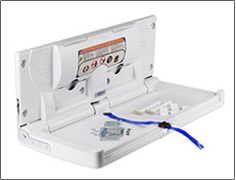 First though, make sure all health and safety requirements are in place. Check you’ve got your first aid kits and washroom supplies replenished. The easiest solution is to use Alsco’s convenient Managed Rental Service so you don’t even have to think about it. Alsco does all that for you. Breathable and comfortable uniforms. 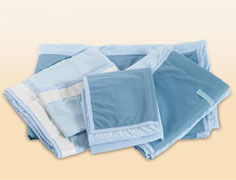 Double-ply panels for protection against punctures. Most importantly, all our services can be packaged into a fully customised solution tailored specifically for your workplace needs. Call us today and we can pull together a proposal that will save you time and money, and help keep your employees happy, safe and healthy.